H.S. Camo Collapsible "Super Light" Portable Ground Blind 6' x 27"
Collapsible "Super Light" Portable Ground Blind. 6' x 27" ADVANTAGE® TIMBER? camo spun-bonded nylon. Folds up to approximately 14 in. long. Adjustable height. Vinyl Gun & Bow Tape. Advantage Timber camouflage pattern. 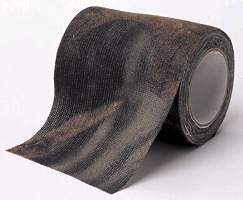 10' x 2" roll. No-Mar Vi-Tech Gun & Bow Tape. No Glare, protective camo cover. Protects all finishes. 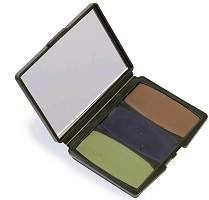 Compact case with mirror and 3 Woodland Colors: mud brown, leaf green and flat black. Blistered. 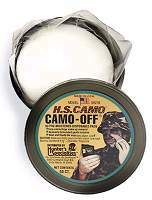 Camo Make-Up Remover Pads. 50 count. Blistered.